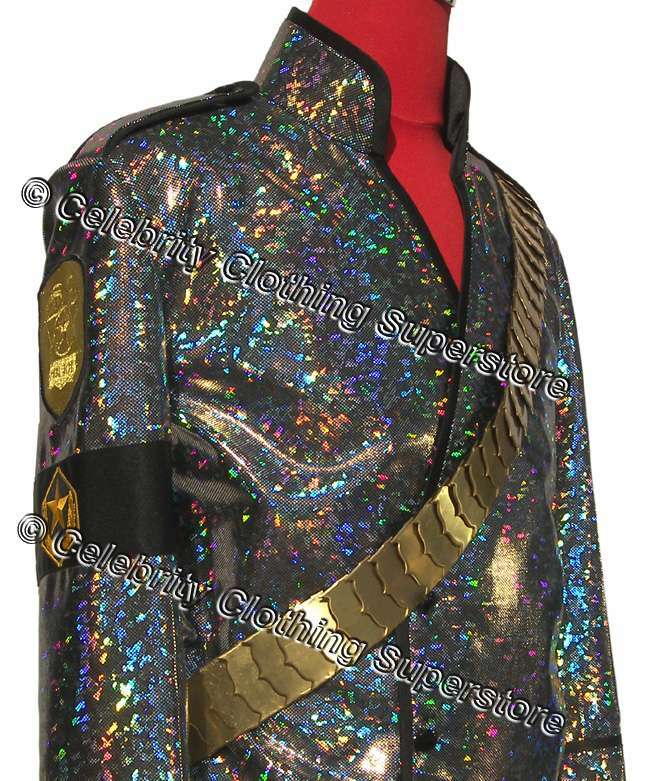 A superb replica to the original, the ultimate performance jacket & belt! 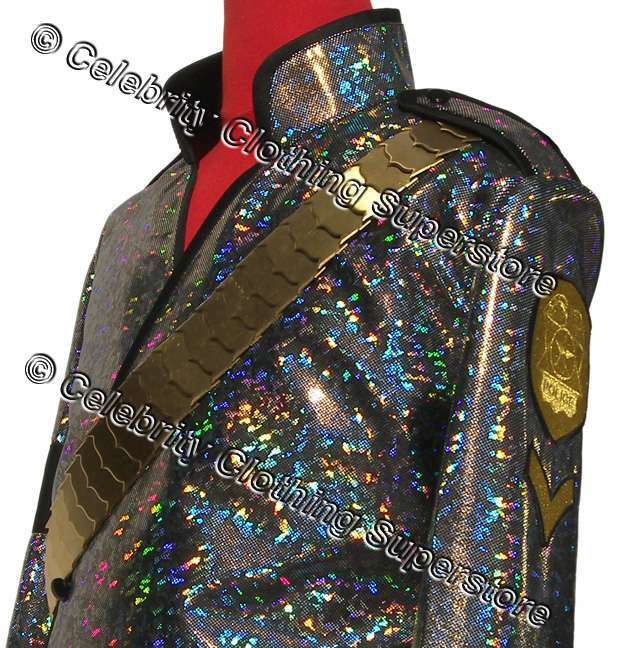 jacket features very rare imported silver iridescent lumor fabric with large gold police arm badge and black arm band and front closure. 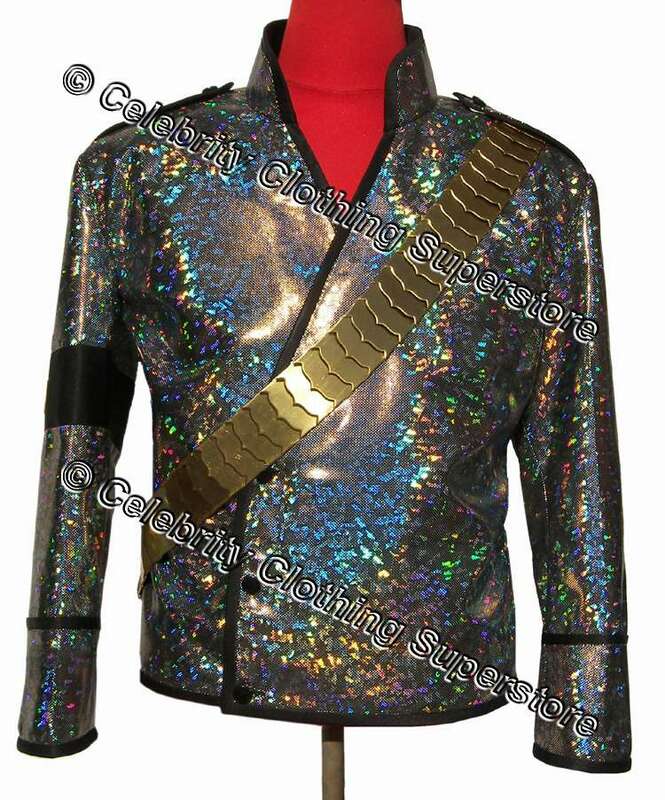 Custom designed metal super none fade or scratch Titanium Dangerous Tour JAM Belt, fantastic for when on stage /performance! insist on the best! Production time is fast at just 5 - 10 days or under, as soon as your purchase is finished we ship your parcel FAST guaranteed and fully insured.